We are very excited to welcome Matt McKay to our Experience Columbus convention sales team as a national sales manager. 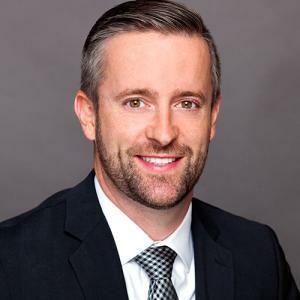 In his new role, Matt will be handling business with more than 551 peak room nights for all medical and pharmaceutical groups (excluding Illinois), The Ohio State University and direct selling accounts. Matt joins the team after nearly four years as a sales manager for SMERF, sports and entertainment groups at the Sheraton Columbus Capitol Square. Prior to that he had worked as a sales manager for government and SMERF groups at the Doubletree Hotel in Arlington, Virginia, after which he joined Athena Study Abroad as manager of sales and enrollment services. Adding Matt to the team fills a vacancy left in July of this year when Dan Williams and Angela Hammond were promoted from their previous roles with Experience Columbus to vice president of convention sales and director of sales, respectively. We wanted to get to know Matt a little better, so we asked him a few fun questions that you can read below! Fun Fact I have traveled to 10 different countries. I love Columbus, of course, and am proud to call it home, but working in this industry I have a thirst to see new and unique places as well. I was lucky to have the opportunity to work for a study abroad company with which I was able to do ample amounts of international travel. Being able to experience so many different cultures firsthand has definitely helped me be better at what I do. What do you look forward to most about being at Experience Columbus? I am big on building relationships and, knowing what Experience Columbus means to the city, I look forward to creating new relationships and strengthening those in existence to help keep our city a top-tier meeting destination. If you could only eat one meal the rest of your life, what would it be? Undoubtedly, steak and mashed potatoes. That&apos;s the Irish in me shining through. What do you do while you are stuck at the airport? I&apos;m a big sports fan, so if there is a game on I&apos;ll look for a seat at a bar with ample TVs. Otherwise I will hang out at the gate and read a book. What is your favorite spot in Columbus for a night cap? I don&apos;t live far from Pigskin Brewing Company at Creekside and definitely recommend it to anyone who enjoys craft beer, especially in the summer; it&apos;s the perfect place for patio drinking.